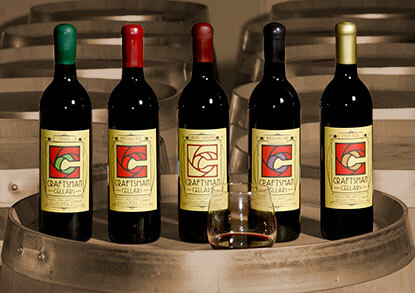 Our goal is to produce hand-crafted wine in the old-world style. All wine-making operations are carried out by hand with the power of gravity rather than electrical pumps. Although time consuming, this gentle method is less harsh and introduces less oxygen to the wine. In addition, we use all new French oak barrels for each vintage to ensure a truly premium wine. April 19th: Sock Puppets will be performing from 6:30 p.m. to 8:30 p.m. This musical trio is focused on non-mainstream music, playing classical, jazz, Irish, and some original tunes and a few old favorites. New Update: You can now order wine for yourself or friends and relatives that can be shipped to over 39 states. Check out our Wines section today on our website! We are now serving Paninis and beer brewed by two of Spokane's local breweries, Iron Goat Brewing Co. and No-Li Brewhouse. We are also now serving Barili Cellars' Sauvignon Blanc and Chardonnay. Enjoy our cheese/olive/cracker plates, which include Cougar Gold, Asiago, and Gouda cheeses with a glass of finely crafted wine. Book your special /meetings/events/birthday parties at our beautiful tasting room in Kendall Yards, which has an occupancy of 40 people.